Summers in Central Alabama can be dreadfully hot, sweltering enough to keep you basking inside your air-conditioned home. 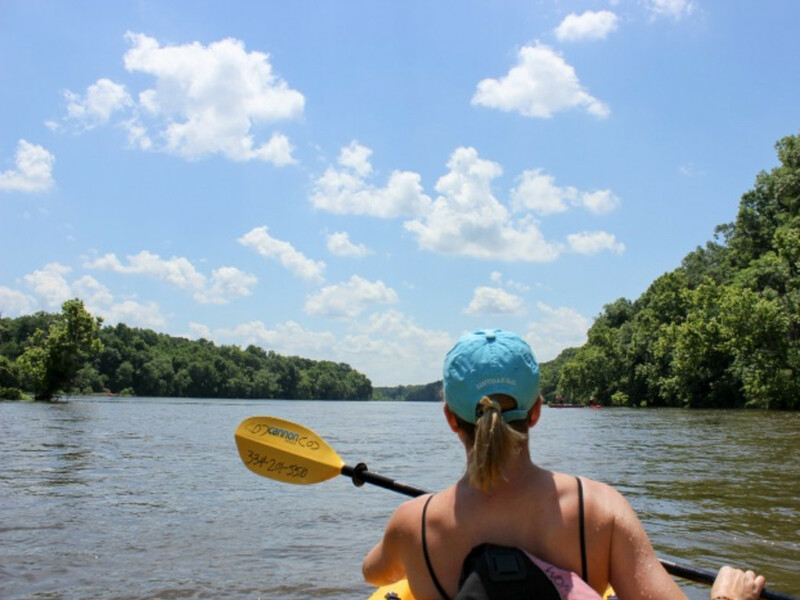 But there is one outdoor activity that promises a little adventure and some wildlife watching served with a side of refreshing breezes-a paddle trip down the Jordan Dam Tailwater portion of the Coosa River in Wetumpka. This seven-mile, dam-controlled stretch of the Coosa is the only whitewater on Alabama’s Scenic River Trail - the longest designated water trail in the country-and hosts an annual whitewater festival each May. 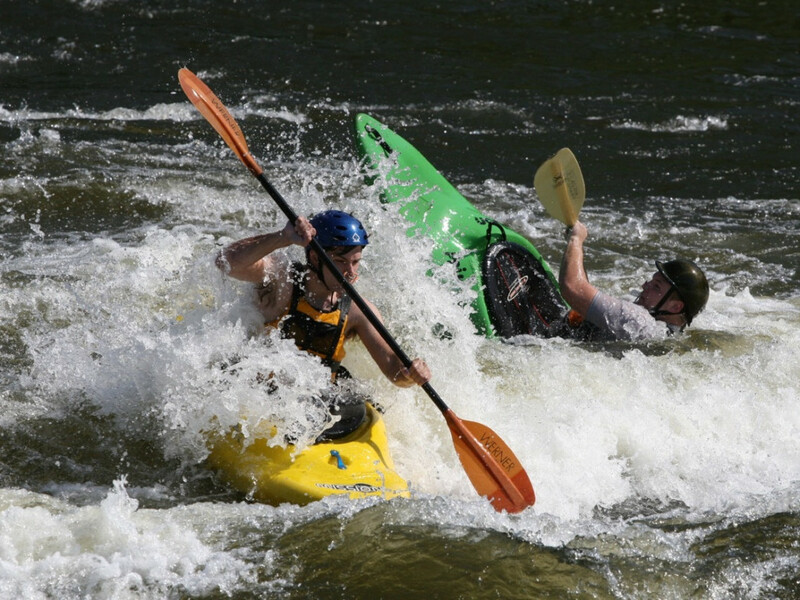 Its clean waters are cool but not too cold, and its rock-strewn bed and banks create numerous Class II rapids and one Class III that when combined, are just thrilling enough to satisfy more experienced paddlers and easy enough to show novices a great time without scaring them off the sport. Places to pull over and swim are abundant, as are the flora and fauna, including the rare and lovely Cahaba Lily. 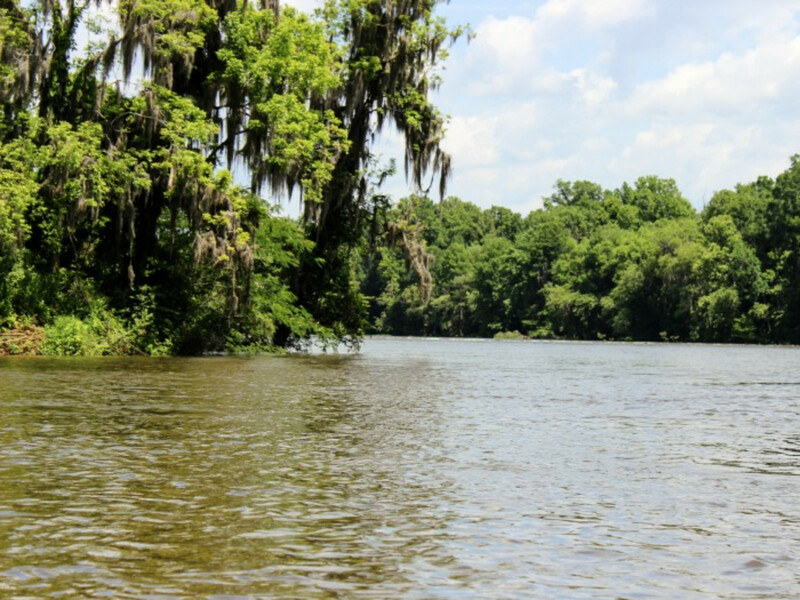 We asked Lonnie Carden, owner of Southern Trails and the Coosa Outdoor Center-an outfitter that’s been providing instruction, gear rentals (mostly sit-a-top kayaks) and shuttle service for six years-to share a few things to keep in mind so you can “Do the Coosa” right. The bearded, bespectacled guy is a founder of the Coosa River Paddling Club, a champion of the river, and knows it like the backs of his paddle-calloused hands. You can paddle the Coosa in as little as two and a half hours, but Lonnie always encourages folks to take the their time and take the line less traveled. “It’s a wide river, and if you go fast and just paddle down the middle, you’ll miss a lot,” he says. An amazing diversity of bird life-osprey, eagles, great blue herons-beautiful flowers and more reside along the river, so when you’re on the flat water, slow down and make your way over to the banks to explore. And when you reach the only Class III rapid, Moccasin Gap, pull your boat up to the rock island, and take a snack break. If you want to get wet, take a dip in the swimming hole on the south side of the island. 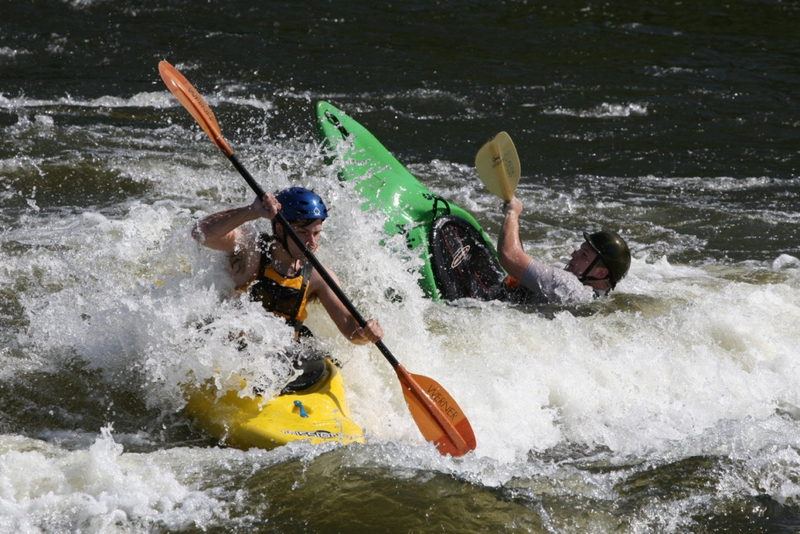 And if, you’re lucky, kayakers will be there putting on a show as they practice freestyle tricks in the rapids. No matter who you’re renting gear from, show up when the outfitter asks you to. There is a process-waivers to sign, life jackets to try on, a quick instructional talk-that has to happen before you can board the shuttle, and you don’t want to hold things up. And think ahead. Even though COC and other area outfitters take walk-ups on certain days, on summer Saturdays, if you don’t make a reservation, you’re probably not going to get a boat. Pull up on the rock island at Moccasin Gap rapids for a break. More than 80 million years ago, an asteroid struck the earth in Wetumpka, leaving a massive impact crater behind. It is one of the few above-ground astroblemes (which means “star wound”) in the country and dramatically shaped the area’s landscape. Take a close look at the rocks at the put-in below Jordan Dam. You’ll likely see garnets embedded in some of them, ancient holdovers from the event. More evidence can be seen on the river. Note the white “shocked quartz” boulders near Moccasin Gap. About halfway through your trip, you may see a small white dog swimming out toward you. Many paddlers have welcomed the friendly pooch onto their boats and carried him to the take out, assuming he was lost. He’s not. He’s Pettie, a dog who lives with his owners on the river and loves to meet new people and hitch a river ride. 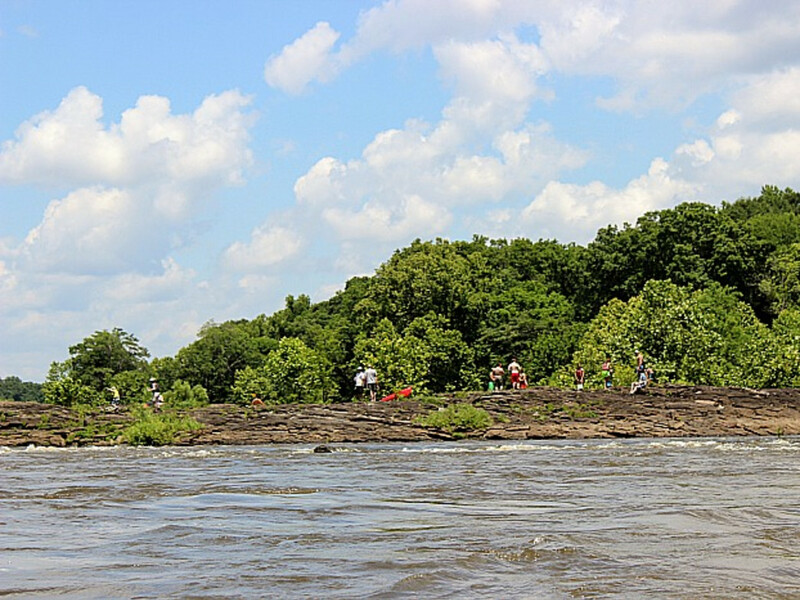 Grab a bite of barbecue at Hog Rock after your paddle trip. Remember these above to enjoy a fun-filled day on the water, and when you’re done, if your tummy is rumbling, stop in Hog Rock , just a few miles from COC on Highway 231, for some hunger-busting barbecue. 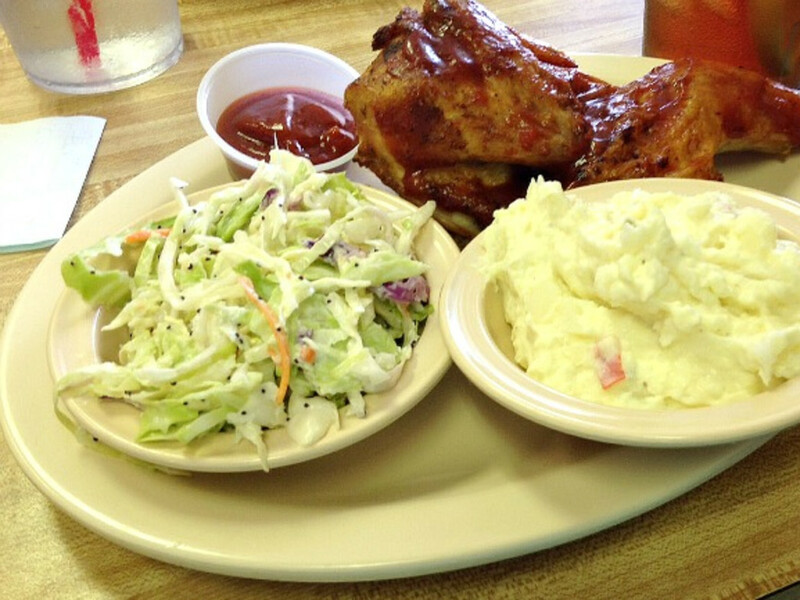 The pulled pork is delicious, but consider the smoked chicken too. It comes with a tangy, tomato-based sauce, but cooked low and slow, it’s tender and flavorful enough to not require any. If you’ve got your own boat, the Coosa Outdoor Center will shuttle you to the put-in for a small fee. Just call ahead and check on times and availability.